This is the digital age in which anything you could possibly imagine you could probably find on Google. Unfortunately, the music industry is full of dinosaurs and fossils that drive expensive cars, drink lattes, and have gold records hanging on their office walls in downtown Manhattan. These are the record executives and businessmen who drain (and finance) the music industry as we know it. The four major record labels—Universal, Sony, Warner, and EMI—accounted for over 80% of sales in the US in 2005 which is an astounding number. The problem herein lays the fact that these four labels, for the most part, are responsible for the mindless pop music droning on all the top 40 radio stations. Keep in mind that these are also the labels that allow your favourite “indie” acts access to the global market with huge amounts of marketing capital. It is my opinion that this mindless pop onslaught drives most musically inclined people en masse to the newest and brightest thing that sounds different. The whole indie movement is in part driven by the stupidity of marketable pop music. 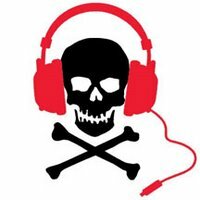 Piracy—sites like Kazaa, and Napster (remember Napster? )—are merely an extension of this desire to find something that is not Britney. Steve Jobbs realized this and on the eighth day he created iTunes. iTunes is a smart, and yes, corporate, attempt to tune into this wave of music and the internet. Remember Feist and her “1,2,3,4” iPod commercial? And for those of us who prefer not to mess around with a bunch of user friendly software, there are things called torrents. Finally, a place to find full length, studio quality albums, minus viruses, dead air, misnamed files, and for free! Although it is now illegal to download music files in Canada without paying, this is the best way for an artist to get their music out there. With the Internet, MySpace and torrents are now a musicians best friend as they are no longer confined to a certain “scene” within a given city. The entire online world is a potential fan, and the big four labels are too big and old—like a greedy t-rex—to realize the potential of such a machine.